Beauty Bungalow Microneedling | The next best thing for your face! Fine needles that create hundreds of tiny, invisible puncture wounds in the top layer of skin? Not appealing? But it could just be the best thing that ever happened to your face! Microneedling creates microscopic channels where topically applied nutrients are absorbed at a much higher level. This stimulates skin’s natural healing response, increases blood flow and boosts collagen production which helps with acne scarring, wrinkles, and stretch marks. 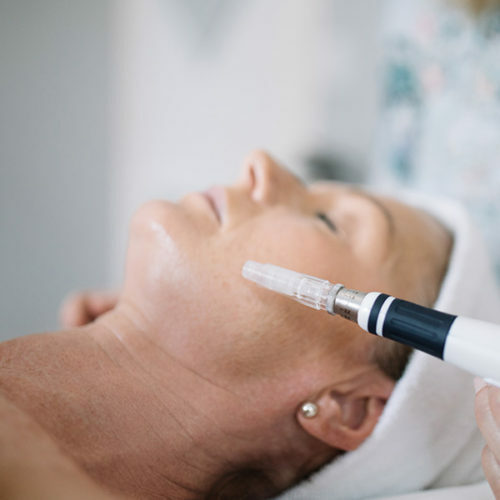 Done regularly, microneedling will make your skin act like it did in your 20s—it’ll be thicker, it’ll glow, it’ll have the most beautiful tone and texture. You can think of microneedling as collagen induction. Your body treats a small wound the same way as a large wound, and sends fibroblasts (a cell from which connective tissue develops) to create more collagen in the affected area. Over time, more collagen is produced, therefore improving skin texture for healthier, more radiant skin.